You are walking down the street and get distracted by a cute puppy across the road. You walk head first into a poll (this question might be based on real life experience from yours truely haha). You get home and have a pretty sore head but no open wounds that you can see. Is it okay to put an ice pack on your head? If you answered Option 1 – Yes, it will help with pain and swelling then you would be correct! Minor head injuries are common in children and adults, we have all been in the situation where we crouch under the table to pick something up, we get distracted by something and forget that there is a table above our heads and *bang*… head vs table… (edit: my friends have just informed me that this is just me and normal people remember there is a table above their heads, oh well <insert your own example here>). 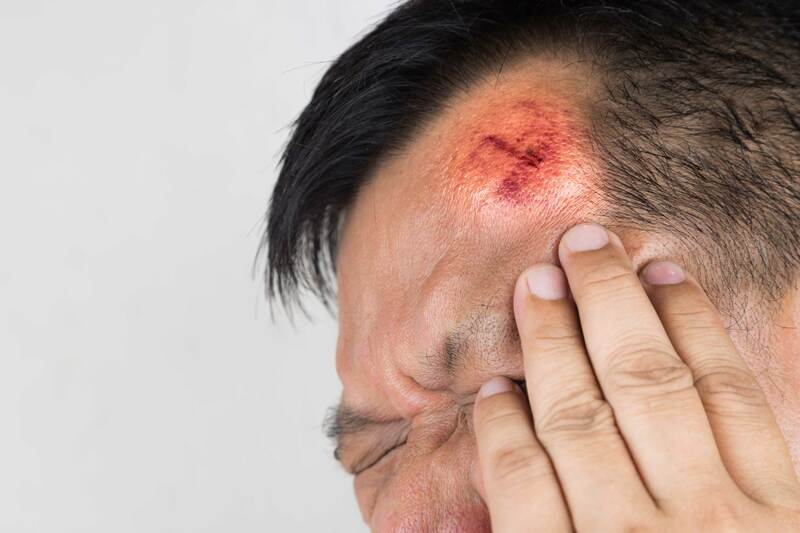 When we bump our head, trauma occurs to the area we hit. Pain receptors are activated, and localised swelling occurs in the area. In slightly more serious bumps to our head our brain can be knocked against the skull which can result in a concussion. Even more serious than that is when we hit our head so hard that the brain gets knocked against the skull, is bruised and can even bleed. In this last case, this is considered a severe head injury and the first aid is different. For those that selected Option 2 – you are not alone. 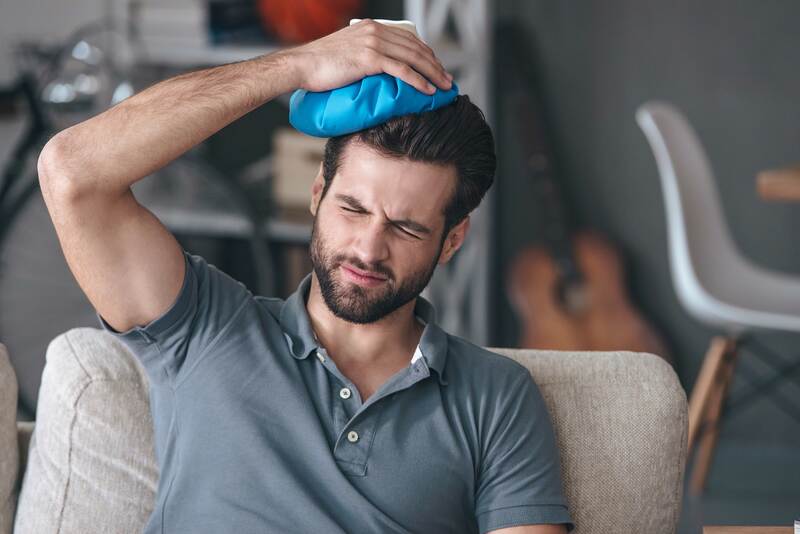 In my first aid classes the question of “Is it safe to put ice on a head injury?” comes up frequently. There was a rumour going around that ice was bad for minor head injuries as it can damage brain cells and cause “brain freeze”. This is entirely not the case however ice can cause damage to your skin if it is placed directly on top of it. Always make sure you have at least one to two layers between the ice pack and the skin. Wrapping it in a tea towel, jacket or what ever material you have available is usually enough to stop the burn. The first aid for a minor head injury is to sit, stay calm and place an ice pack wrapped in material over the injured area. The ice is known to reduce pain by numbing the pain receptors and can reduce swelling by causing the blood vessels in the area to narrow (similar to when we are cold and our blood vessels in our arms and legs constrict to force blood back to our vital organs). The injured person should be observed for signs of a more serious injury head injury- loss of consciousness (black outs), dizziness, confusion, bleeding behind the ears or under the eyes as well as blurred vision and unequal pupils. If any of these conditions present themselves it is better to seek medical advice. If in doubt always seek medical advice. If the person becomes unconscious but is breathing normally place them in the recovery position and call 000. If they are unconscious and not breathing normally call 000 and commence CPR. Take advantage of our onsite training and group discount. Have a question related to this weeks trivia, write it in the comments of the quiz post.